Spring green colored Natural Untreated Colombian Emerald set in 18K White Gold ring- Breathtaking and fit for royalty! Comments Beautiful rich spring green color on this beautiful emerald and the striking contrast given by the 18K White Gold finish makes it a piece of timeless elegance and beauty. Lovely mercury energies. Royalty, richness, luxury and elegance redefined. Zambian emerald works and a Colombian Emerald does not work-A distasteful joke, a sad attempt at comedy or a straight fraud-You decide. Things we don’t like-But this will help you avoid the pitfalls. How does one read auras long distance over the internet? This consultant also said that Zambian Emerald gives much better results and a Colombian Emerald does not give results. 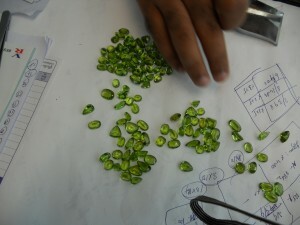 The consultant also went ahead to say that they have a 5+ carat eye clean Zambian emerald for around USD$(3 figures). Whoa! Excuse us, we are not blind. Even if we get a Zambian Emerald that is eye clean that is 5+ carats we are targeting a price point of $(4 figures) per carat in whole sale or directly from the mine and not a $3figures for the full gemstone. Colombian Senors and masters of the world gem trade are you listening. This gemstone was being made available to this patron and patron asked us –Is this true? Well we did some research and apparently found out one gracious patron who asked us is my emerald Jyotish Quality. Have a look at the picture that he sent. This was made available by the same consultant and this consultant graded this gemstone as Eye clean. We tried to see all angles of this gemstone and unless 12 individuals have some serious problems with their eyesight we can say this is a 100% flawed, non Jyotish quality, flawed emerald. It is a bluff stone. Please don’t trust anybody. Just trust your eyes! Please they will help, yes! THIS IS NOT JYOTISH QUALITY. THIS WILL NOT WORK. PLEASE DO NOT WEAR THIS AURIC READING OR NOT! This made us write this piece. 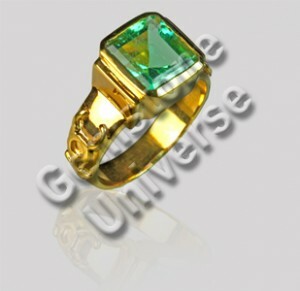 Please look at this emerald ring made available by Gemstoneuniverse.com to its patron. All relevant details of this ring are posted on this blog. Please go through the details if you wish. -Zambian Emerald gives better results than Colombian- Utter Nonsense and Fraud. Gem efficacy depends on Cut, Color, Clarity, Carat weight and Lack of treatment. 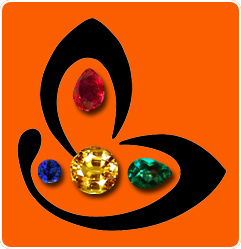 Till these parameters are in place gemstone from any mine will give good results. – 90% of Vendors in India whether online or retail shops carry just Zambian Emerald with very poor clarity which is not Jyotish Quality. This is rough waste and the biggest consumer for this is the Indian Market. This is the least expensive and readily available inventory to procure. And they try to justify their gemstone by fraudulent statements like the one above. – Good Quality Zambian Emerald with 90% clarity will come at minimum $1000 a carat of above in wholesale due to their magnificent deep green color. If you can buy this at this price than you can take an order for 100 carats from us!. It’s a promise! – The best emerald, bench mark for all Emeralds in terms of beauty or investment is Colombian Emeralds. This is the most expensive inventory to procure, maintain and find access to. It’s our bet that this great auric consultant cannot even differentiate between Chivor, Cosquez or Muzo Mines. 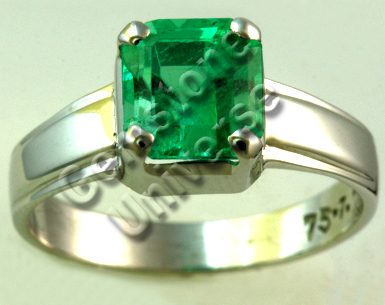 Colombian Emerald is available only to the experts or individuals with very deep pockets! Finally, be cautious, trust your eyes and don’t let planetary gemology fail due to bluff products and bluff consultants! Be aware, be at peace and most importantly-TRUST YOUR EYES! 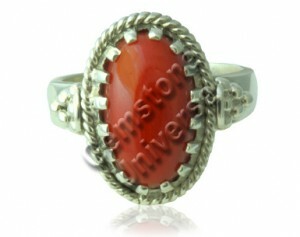 Awesome Antique and Mystical Tibetan Design Red Coral ring- Robust full bodied Red Coral from the Japan Sea! Comments Tremendous Mars energies and a gorgeous finished ring. Antique Tibetan design ring takes you back to the days of the lamas and the monks. The gracious patron was very happy to receive the ring and rewarded us with a brilliant testimonial that has been featured on our testimonial section. Solid size for a fully natural organic coral. The unique design adds so much more character to the Coral. 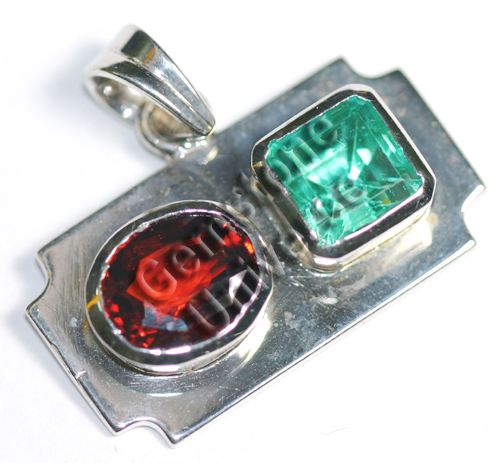 Awesome super Jyotish Quality Mars Talisman. Ravishing Mercury Energies with a Colombian Emerald Gold ring- Stunning clarity!. Has to be one of the best talismans we have made till date! Comments This one turned out to be mind boggling. Lovely Colombian emerald from the Muzo mine with exceptional clarity levels. Will deliver the best results for Mercury. The Mercury signs on the ring sides add to the character of this ring and make it talismanic. Immensely satisfying to know that a Gemstoneuniverse patron would be a proud owner of this fine planetary talisman. Spectacular Blue Sapphire Talisman Ring- Has to be one of the best planetary talismans we have made till date. 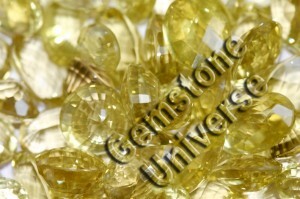 Comments This enchanting gem with a brilliant lustre has 100% natural colour. The lustre is so intense that it just shines through. Mined in Sri Lanka this beautiful intense gemstone also has a good size. Has the capacity to bless its wearer with the best results Lord Saturn has to offer. Certified unheated and untreated this was the best gemstone from the whole lot. 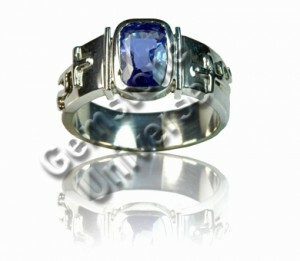 Alluring color shade, good size, fantastic transparency levels make this Blue Sapphire a very special natural Sapphire. Note: Notice the size of this Blue Sapphire. 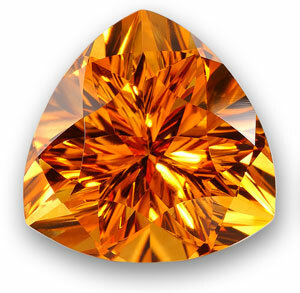 This is a 3+ carat beauty certified as Unheated and untreated with no enhancement. Notice the price also. We offer this price because all these gemstones were mined and faceted from a single non treated transparent Blue Sapphire Crystal originally weighing 161.16 grams. It is our Absolute Guarantee with no exaggeration and hype that you simply cannot get such a fine Quality Blue Sapphire anywhere below $1000/- a carat. Try researching the internet, wholesale, retail anywhere. If you can beat this price we buy from you! These absolutely eye clean unheated and untreated Blue Sapphires come from our lot 610 and represent the finest Jyotish Quality. Please click on the URL below to see the picture of the gemstone before it was set in the silver ring.The Carved signs of Saturn on the ring sides make it special and extra ordinary! Super Lustrous and gorgeous velvety, rare, blue imperial Kashmir color Ceylon Blue Sapphire-Powerful Saturn energies. Super Lustrous and gorgeous velvety Blue imperial Kashmir color Ceylon Blue Sapphire-Powerful Saturn energies. Gemstoneuniverse.com-Table of Blue Sapphire facts. Comments When this talisman was ready it left us stunned. The richness of the color is just amazing. Very hard to get this color in an unheated gemstone. Today the famous Kashmir color is very rare. Today two new gorgeous Blue Sapphires have been listed on the website that are exactly the famed Kashmir cornflower velvety Blue color. You can view the Blue Sapphire inventory by clicking on the link below:http://www.gemstoneuniverse.com/choose-gem/blue-sapphire.htmlWhen we first listed this Blue sapphire on the web site we felt that the original picture did not do any justice to the beauty of the gemstone. The listed picture does not capture even 1% of the beauty of the gem. At Gemstoneuniverse it is our policy to take pictures in natural sunlight and not edit the image in any which way so that patrons get a realistic view of the gemstone. But now look at the finished piece. Absolutely delightful. If this will not give the best results for Lord Saturn then what will! Majestic and Awe evoking Colombian Emerald and Hessonite pendant! A gracious patron, a joyful team and a Superb Jyotish talisman! Gemstoneuniverse.com Table of Gem Facts! Comments Absolutely stunning and gorgeous Colombian emerald and a fiery orangish hessonite make this Jyotish Talisman very special and precious. When we first listed this emerald on our website we could not get the picture quality right.Even though the pendant picture is also no great shakes you need to concentrate on the exceptional clarity level of this emerald. We always knew our patron would be delighted upon receipt! What we received in return was a magnanimous testimonial from a gracious patron that delighted all of us at Gemstoneuniverse. Hessonite details given in the table below. Peridot-Superior Emerald Alternative for Mercury Energies- Huge lot of Gem Quality Natural Peridot acquired today! Peridot is the name given to the gem quality specimens of the mineral fosterite. This beautiful gemstone has color ranging from olivine green to yellowish green and gives far more better results as an Emerald alternative for Mercury as compared to Tsavorite or Green tourmaline provided the gem is fully natural and totally free from treatment. The cause of color is the presence of iron in the chemical formula. Conventionally used as the birthstone for August in the west, fully natural Peridot is becoming rarer by the day due to the abundance of treatments. We have been able to procure a huge lot of Natural Jyotish Quality Peridots. This lot contains Peridots from Burma (Nowadays it is very difficult to source Burmese Peridot), Pakistan and China. This lot is currently under certification and will be made available to patrons in around a month’s time. The whole of last 10 days were spent in classification and buying of new inventory in our Bangkok Asia Pacific buying division and hence we were not able to keep the blog current. 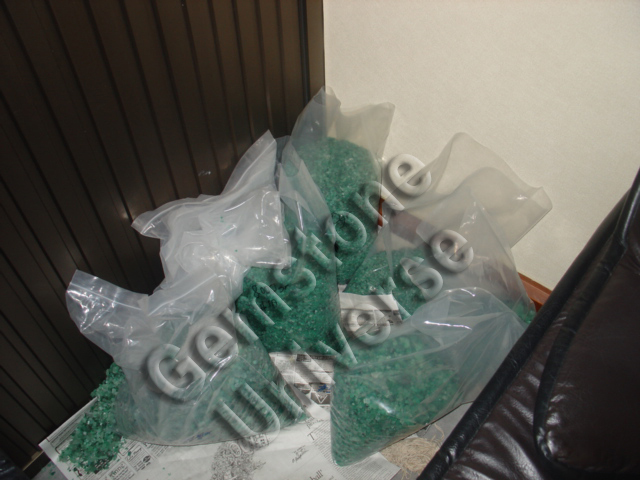 In these last 10 days a huge number of planetary gemstones and talismans were shipped. June will be a big month where you will see a huge number of your favourite talismans. A huge number of our patrons sent us an email stating they lie to read about the latest talismans being shipped out. We hear you and you should see some really lovely talismans starting tomorrow. Be stunned, Share the joy and come and view 97100 carats or 19.42 Kg Muzo Mine Colombian Emerald rough! A Gemstoneuniverse.com special for its patrons! We mean what we say! This massive Cache of 19.42 Kg’s of Muzo Mine Colombian Emerald was acquired by us in September 2009. Gorgeous color with no treatment and it will get cut and polished under our own watchful eyes. The first finished gemstones from this lot are ready and the yield is really good. Going by estimates and initial clarity levels we shall get at least 25%-30% of the entire size that will get classified as Gem Quality. The certification of the first lot is complete and it will be uploaded in the Emerald inventory of Gemstoneuniverse in this week (1st week of June) itself. The 2nd Lot will get listed in the 2nd/ 3rd week of June. We will offer these fine Colombian Emeralds to our precious patrons at a price that will delight our patrons and leave some others flummoxed. It is our promise and with no hype that we will ensure that Colombian Emeralds are now within reach. Expect majority of the lot (Lot 4C0) to be listed in a phased manner by January 2012. Clients/ Worldwide distributors who are interested in a minimum of 1000 carats and above should contact the Purchase department directly. 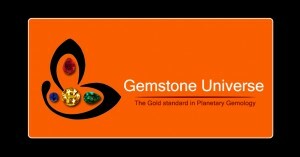 Thank You dear Gemstoneuniverse.com Patrons for your support, good vibes, prayers and good wishes! Deo Amabiles ET Hominibus- Pleasing to God and to Men! Gemstoneuniverse.com- No comparison, No competition! Use of Semi Precious gemstones to bring health, well being and remove deep seated fears and complexes! Since time immemorial man kind has benefited from the Ancient Indian knowledge of gemstones. Primarily the use of the nine planetary gemstones for optimization of life’s potential is famous but in the section we will discuss some other important gemstones that have been a essential part of astrological and healing practices and have benefitted mankind equally as the precious gemstones. The turquoise is a healing gemstone representing the healing power of Venus and Neptune. Wearing a consecrated and an energized turquoise leads to increase of respect in society, success and happiness. It is believed to remove the effect of poisonous substances. Highly beneficial in remedies of the gastric system, chest and eye problems! A person wearing an energized and a blessed turquoise will be protected from evil eye and occult practices and spells. In olden times it was the favorite gemstone of the warriors and adventures for it protects from the fear of unknown, many cultures have used turquoise for wealth increasing esoteric Practices. Turquoise can be worn in a silver pendant touching the thymus gland area (just above the first rib bone) or in the middle finger of right hand for gents and left hand for the ladies. Kindly ensure that the metal for setting the ring/pendant should only in silver and the turquoise should be genuine and natural. Do not wear manufactured or color enhanced turquoise. The deep blue color lapis lazuli /Lazwarth with Golden speckles signify peace and tranquility. Recommended in the Indian sacred texts to cure the malefic effects of Rahu the north node of the moon! 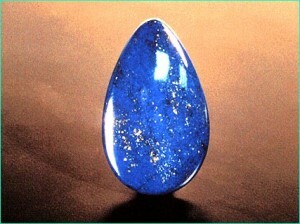 The touch of the consecrated and energized lapis lazuli makes a person “un–hurried” and peaceful. This gemstone removes fear complex and nervousness. It increases self-confidence and motivation removes deep seated disappointments and turns the individual towards the path of spirituality. Used in occult practices all over the world, it improves relationships. It is of great benefit for children as it removes the effects of evil eye. Lapis lazuli should be worn in silver as a ring/pendant touching the thymus gland area (Just above the first rib bone) or as a ring in the middle finger right hand for men and the middle finger of left hand for the ladies the minimum weight of the gemstone should be 4+Carats. Also known as Jambu ratna /Neelragmani in Sanskrit (The ancient language in which the Vedas- Immortal sacred texts have been written). The amethyst /katela is also a substitute gemstone for planet Saturn.It also removes negative thinking, fear of the unknown and deep seated complexes. 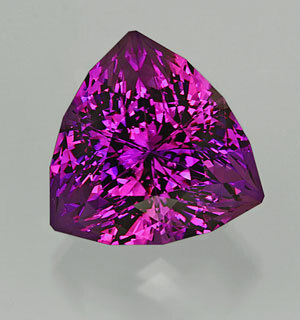 It is a transparent gemstone which has violet indigo colored shade and hue. This gemstone is a favorite crystal of healers it balances the chakras and suppresses the negative desires. It removes migraine like headaches and has been of great use to individuals suffering from sleep disorders and insomnia. Also known as the peeta sphatika in Sanskrit the golden topaz is the gemstone of the planet of good luck, fate and future-Jupiter. It is especially beneficial for diseases of the lungs and the gastric system those individuals who have a fear of the dark should use golden topaz. It is the talisman of good luck and wealth. It signifies wealth and opulence. Method of use Citrine can be set in silver or gold and worn on a Thursday in auspicious time period selected by electional astrology. The minimum weight of the gemstone should be 3-4carats. It can be worn as a pendant in a silver chain touching the thymus gland area or in the index finger of right hand for men and the index finger of left hand in ladies. The pendant /ring should have open face setting so that the gemstone touches you skin completely. The golden topaz should be natural. Discard heated and color enhanced citrines. Ensure that you use a natural crystal free from any treatment. Guruji Shrii Arnav-Vedic Guru is also an internationally acclaimed planetary gemologist. An Accredited Jewellery Professional from the Gemological Institute of America at present he is the chief mentor of http://www.astromandir.com and http://www.gemstoneuniverse.com . 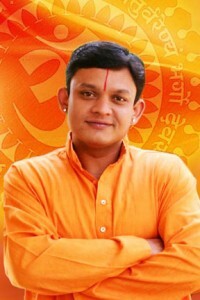 He is also the chief Horoscope columnist of Deccan Herald- A leading Indian English daily. Gemstoneuniverse Admin Note: Dear patrons all the gemstones listed above are available with us in their pure untreated form. We generally do not showcase these talismans on the Gemstoneuniverse.com website as the basic theme of the website is Planetary Gemology. Individuals who desire to procure these gemstones set in talismans or rings should directly send us aa e mail.